Commander of the Estonian Defense Forces Major General Martin Herem and Commander of the Headquarters of the Estonian Defence Forces Brigadier General Veiko-Vello Palm visited Threod Systems. 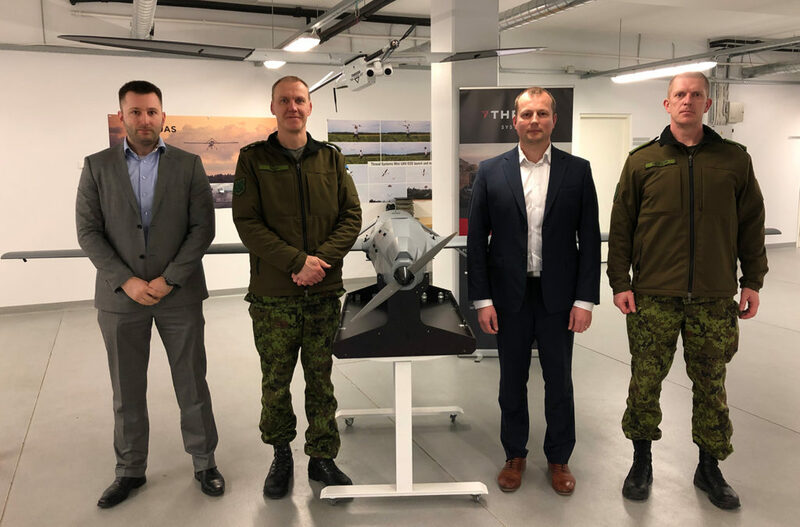 During the visit of Major General Martin Herem and Brigadier General Veiko-Vello Palm recent unmanned aircraft system (UAS) industry developments, cooperation opportunities and possible exploitation of the systems by the Estonian Defence Forces were discussed. Threod Systems CEO Villiko Nurmoja and CTO Kristjan Tiimus introduced Threod Systems company and products. As well as, recent developments and future plans. One of the topics for the discussion was Threods’ KX-4 LE Titan multirotor. It is currently tested and evaluated by the Estonian National Defence College. As a result, the Titan UAS will be deployed to the Republic of Mali in West Africa, together with Estonian troops in spring 2019. The system will be used in the Operation Barkhane. CEO Villiko Nurmoja stated: “In the modern warfare, the usage of the unmanned aerial vehicles (UAV) systems is almost inevitable. UAVs are the “eyes in the sky” for the soldiers, commanders and decision-makers. Previously, Estonian Defence Forces and Threod Systems cooperated in multiple joint events and military exercises like “Spring Storm” and “Hedgehog”. Furthermore, cooperation and support of the operations and exercises will continue”. Threod Systems specialises in developing, producing, and operating Unmanned Aircraft Systems (UAS) that are designed for information collection and exploitation in military, governmental and civil applications. Threod is a member of Estonian Association for Quality, Estonian Chamber of Commerce and Industry and Estonian Aviation Cluster.